Chinese Foreign Ministry spokesperson Lu Kang said that Beijing expected India and Pakistan to stay committed to the regional peace and development. Hailing Prime Minister Narendra Modi’s outreach to his Pakistani counterpart Imran Khan for improving bilateral relations, China on Wednesday said that it was willing to play a "constructive" role in improving ties between India and Pakistan. However, Lu Kang did not specify what he actually meant by “constructive” role that China sees for itself. "We welcome the positive remarks made by the Indian and Pakistani leaders on improving the bilateral relations," Chinese Foreign Ministry spokesperson Lu Kang said. "As a common neighbour to Pakistan and India, China firmly supports the two sides to enhance dialogue and increase mutual trust and properly handle and solve their difference. And we hope that they can jointly stay committed to the regional peace and development. China is willing to play a constructive role in this aspect," Lu added. Asked what he meant by China playing a "constructive" role, he said: "I just said we are glad to see the positive remarks by India and Pakistan on improving their bilateral relations and all the efforts that are conducive to the improvement of their relations and peace as well as stability in the region. We welcome that and we will play constructive role in this respect." Questioned further if by "constructive role" he meant mediation, Lu said: "I cannot give a pre-judgment or in what aspect, what area, what we will do." Modi wrote a letter to Imran Khan on his election as Pakistan's Prime Minister stating the need to build "good neighbourly relations" and pursue "meaningful and constructive engagement" for the benefit of the region. Modi also emphasised the need to make the Indian subcontinent "free of terror and violence". In an apparent response to Modi's letter, Khan tweeted: "To move forward Pakistan and India must dialogue and resolve their conflicts including Kashmir." Earlier, Khan had said that if India took one step, Pakistan would take two steps. Relations between India and Pakistan have been strained since the terrorist attacks at an Indian Army base in 2016. 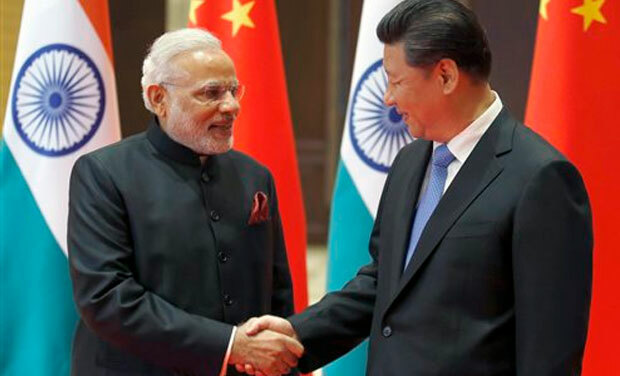 China has publicly maintained neutrality over the Kashmir dispute between India and Pakistan, but its state media has often suggested that Beijing can play a role between the arch rivals. In June, Chinese Ambassador to India Luo Zhaohui suggested a China-India-Pakistan trilateral meet. The idea was junked by New Delhi.